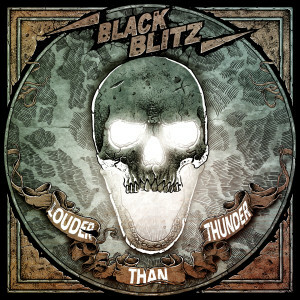 Black Blitz is a high voltage riff thunderstorm from Munich, Germany. 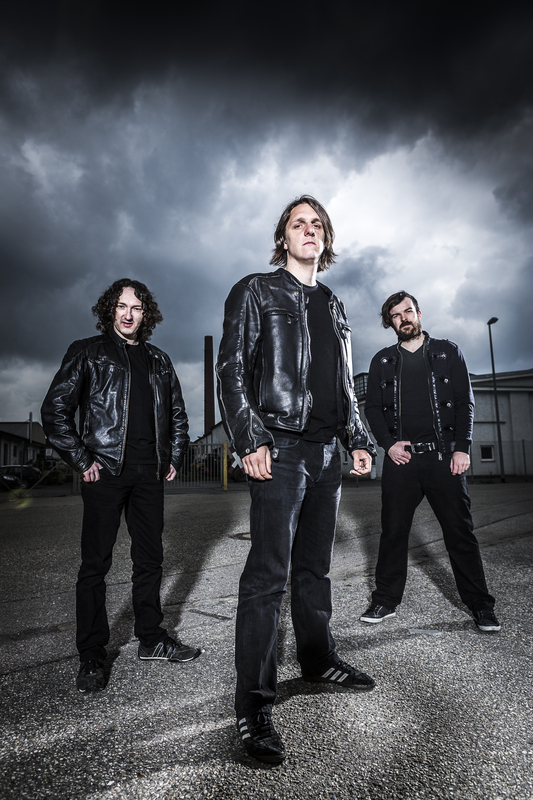 Since 2009 this power trio plays its classic hard rock with electrifying guitar solos, sing-along choruses and fist-pumping riffage like there’s no tomorrow. Their sound is a distinct mix between some of the greatest arena rock bands like AC/DC, Guns N’ Roses or Metallica. It is like a kick in the guts while at the same time it’s putting a smile on every fan of good old, no-frills rock music. As an old school rock band they knew the only way to the top is to play as many shows as possible, so they started out touring relentlessly in their hometown of Munich and southern Germany. But it was not until 2011 when they released their debut album ‘Born To Rock’ that the ball really got rolling. Major radio station Bayern 3 was so impressed by the band’s effort that they pushed the record and made it their first “CD of the month” ever. This led to a flood of other media types joining in and praising the band’s fresh take on this classic rock genre. 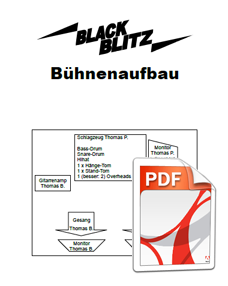 The following summer Black Blitz played their first big festival shows and by the end of 2012 they saw themselves playing to over 3000 people supporting German band Eisbrecher in Munich. Having played well over 100 shows beforehand, they took this chance and showed their strength to win over any audience, even though the main act’s fans didn’t expect to hear hard rock music that night. It was a giant leap from the small clubs they used to play before, but from there on there was no way back: In 2013 they kept getting invitations to play in front of thousands of people but the band knew they had to fuel the fire with a second album. Lightning struck when the band entered the studio in May 2013 to record ten new songs of skull crushing rock and roll. 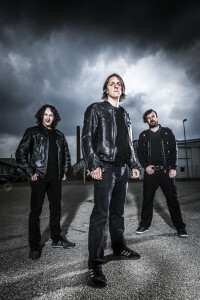 After 13 studio sessions the trio finished work on their self-produced second album titled ‘Louder Than Thunder’ which was released on December 13 2013. Even though they stayed true to their original sound, one can clearly hear the experience the band had gained in the two years since the release of their debut album. 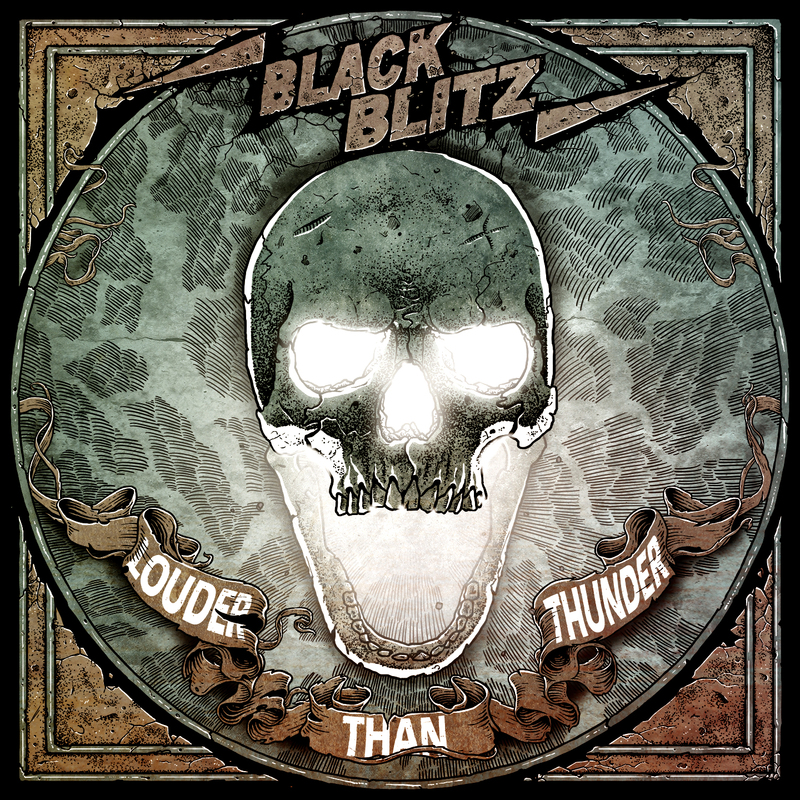 Critics and fans alike praise ‘Louder Than Thunder’ as the band’s best work yet and Black Blitz themselves are surprised and delighted to see that their music, by its own, spreads around the world: They receive orders, reviews and fan mail from around the globe.